The Flying Rhino is the definition of a hip eatery. 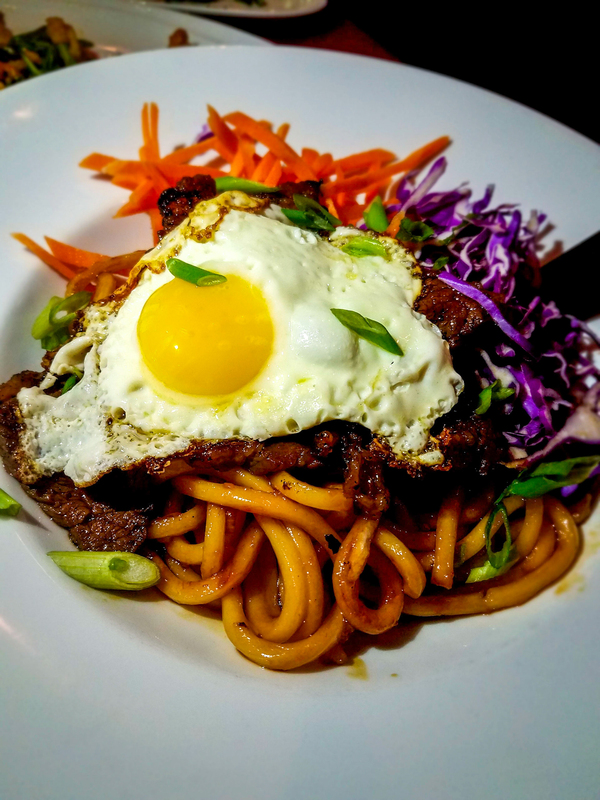 Its eclectic menu, low lighting, and whimsical décor attract an ever-present crowd of happy patrons bobbing to the chart-topping hits that pump through the sound system. After a short wait, we were sat at a hightop by the bar. To our delight—much like the Worcester Restaurant Week menu—Josh Cellars wines were on special for $24.17. My friend and I ordered a bottle of the Chardonnay. Without meaning to, we’d end up enjoying that bottle for over two hours—not because the service was slow (despite the crowded dining room it was reasonably prompt), but because it’s a genuinely fun place to unwind and get lost in the experience of enjoying good company and food. Having selected our courses, we breezed through our meal, and the hours as well. 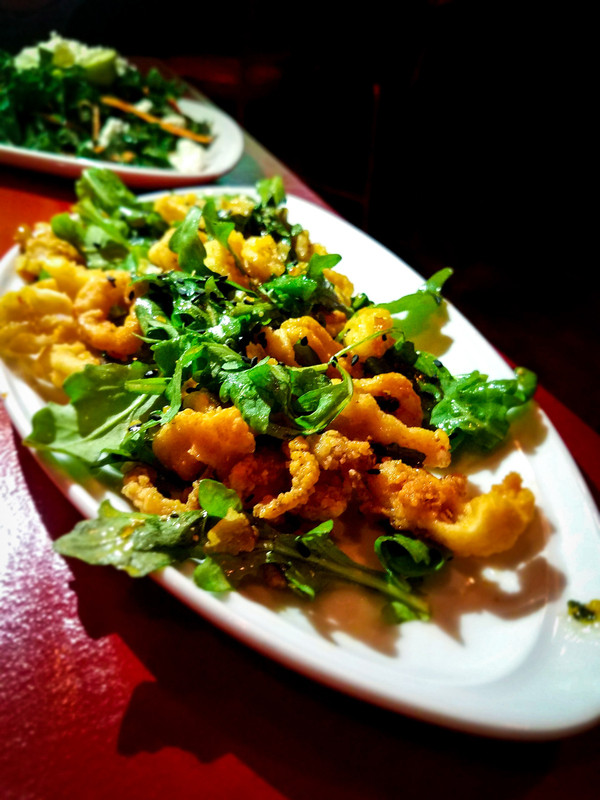 The tender, fried calamari managed to retain a decent level of crispiness despite being drenched in a sweet and sour sauce and tossed with peppery arugula. 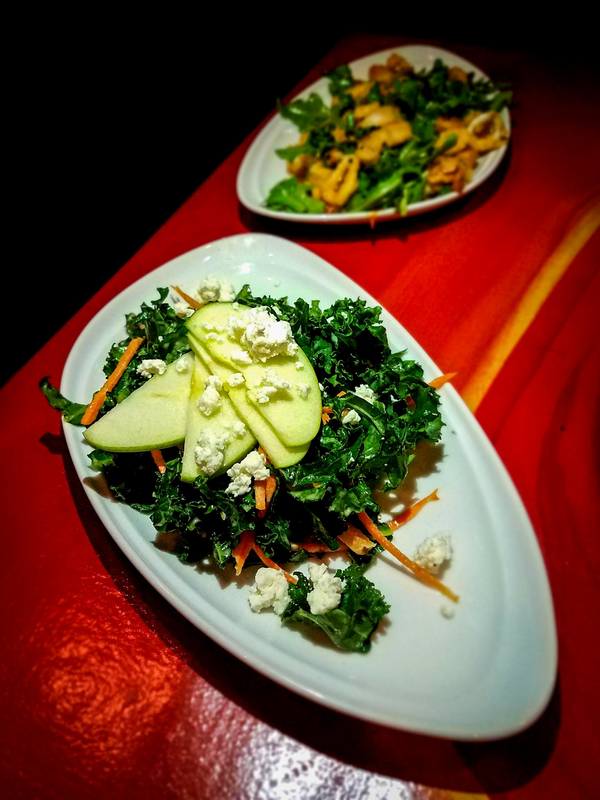 The kale in this salad was treated so as to retain its crunch while escaping its leathery natural texture. Creamy chunks of goat cheese were balanced nicely against tart slices of granny smith apple. A thick and golden-fried beer batter surrounded a moist and flaky cut of haddock. 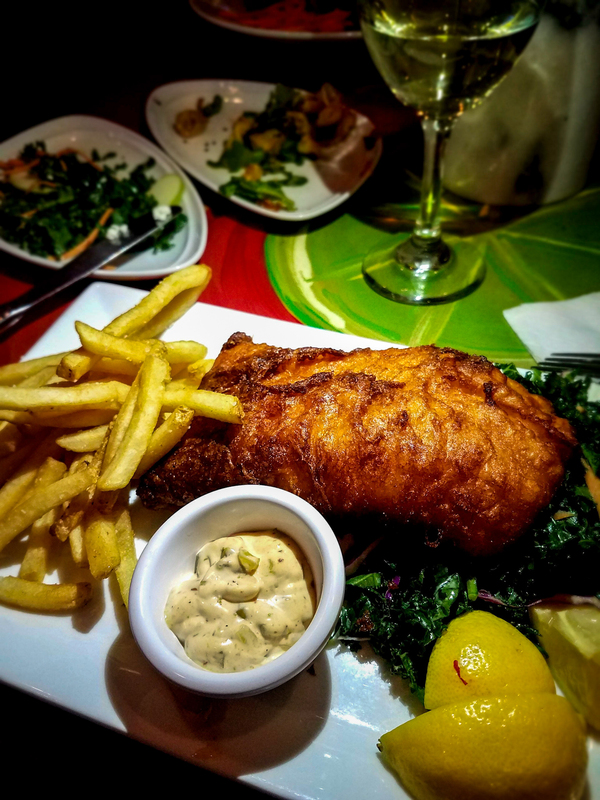 The fish was served with crunchy fries, a kale salad, and the Rhino’s signature “wapoppy” tartar sauce. 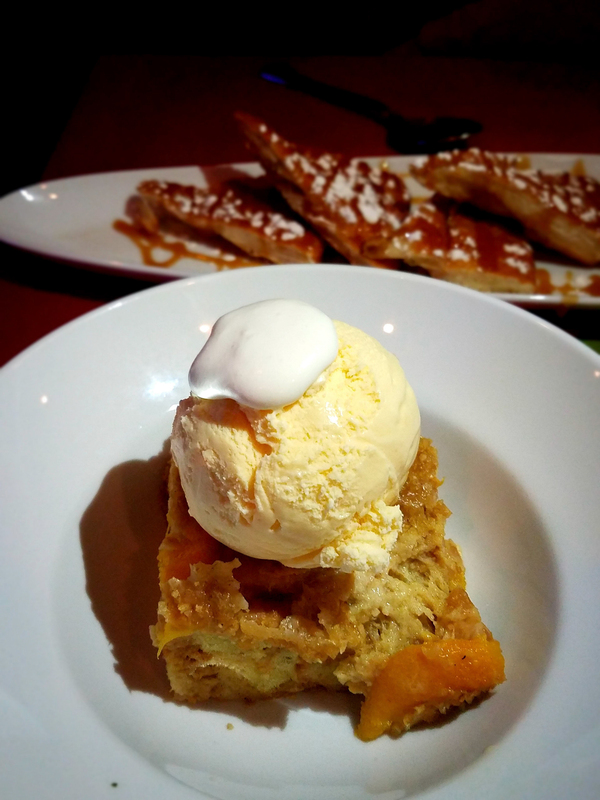 Soft and sweet, this bread pudding was studded with fruit and topped with a hearty scoop of vanilla ice cream. This sinful dessert was a perfect end to the meal. 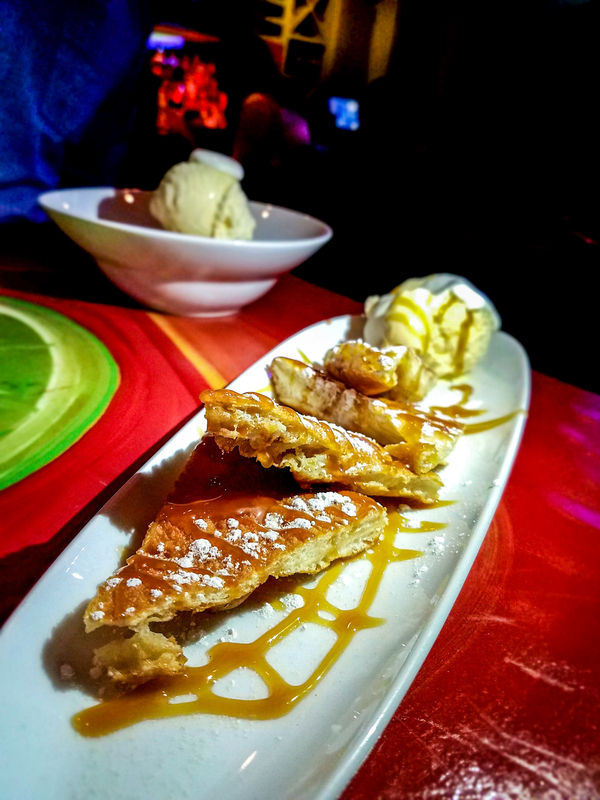 Crispy-yet-chewy triangles of fried dough were topped with powdered sugar and served with a scoop of vanilla ice cream, all drizzled with a sticky caramel sauce. For The Rhino’s full Restaurant Week menu and to find other participating restaurants, click here.